Omega's LC1000 Series top plates provide an ideal method of mounting the LC1001 and LC1011 compression load cells. 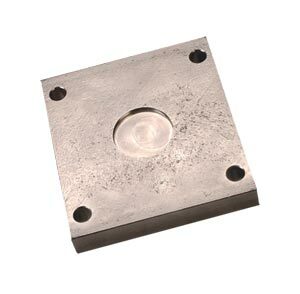 They are made from hardened plated steel or Stainless Steel for harsh environments. 참고: To order stainless steel top plates add suffix "-SS" to model number. Consult Engineering for price and availability.